Related things of flash video player (flv player) for website,mobile devices including smartphone,tablets,etc. Browser is inevitably becoming an important web tool to get great web experience on smartphone and tablets. Certainly there are many choices of android web browser, but what is the best web browser for android is really a confusing thing. Here I would like to suggest the best 5 free browsers for Android from my point of view. Dophin can be one of the top rated and fastest android web browsers. Featured tabbed browsing along with Dolphin Connect, you can easily sync and send contents (links, phone numbers, maps and more) between your mobile and desktop browsers. Besides, you can sync history, passwords, and bookmarks and open all the tabs that are currently running on all the other synced devices. Also, the ‘voice search’function Sonar supports speech-to-text. What’s more, you can use gestures and third-party plug-ins and tools to extend its features. 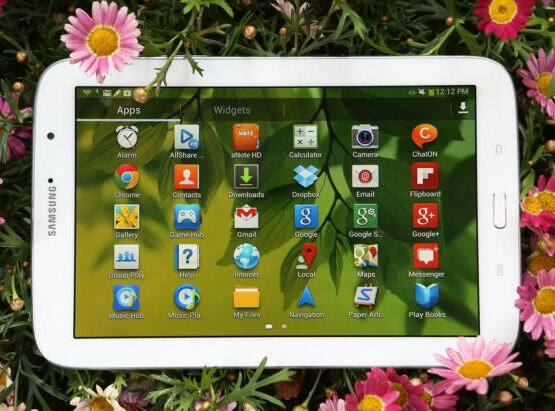 It includes HD version which gets all of its features and Mini version for device to get speed. Google Chrome is one of the best and most reliable web browsers for desktop, so is it for both smartphones and tablets. The thing will be automatically synced between the pc and mobile devices simply by sign in with your Google account. It still remains the ‘incognito mode’ of desktop version. The speed and the compatibility with most web sites are very good. Also, you can easily add your favorite bookmarks with it. Bad things: Requires Android 4.0+, no native support of Adobe Flash and takes up a lot of memory. As one of the oldest web browsers, Opera is fast, smooth and easy to use. It can be easily adapted from Desktop version to mobile UI. The Opera Link can also sync the contents (Speed Dial screens, bookmarks, tabs and others) between desktop browser and the mobile one. In addition, it has built-in support for Twitter and Facebook sharing. The text wrapping makes it convenient to read news. Best, the Opera Turbo can help you save data by detecting slow connection and compressing websites with Opera Software Turbo servers. Also, it includes two versions. 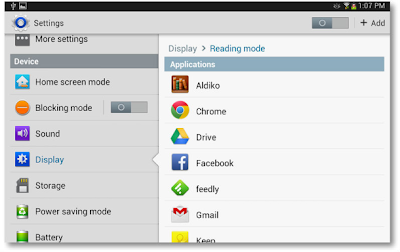 Apart from those, Opera can be the flash player for android device. If you just want to find a smoother alternative to Dolphin Browser, Firefox is without doubt a great option. Packed all the features from the desktop variant, Firefox Browser for Android is fast and smart. Firefox Sync will bring you your favorite sites, bookmarks, passwords and history on your phone/tablet if you use Firefox on the desktop. Also, you can customize it with add Add-ons/ extensions to block ads, download YouTube videos and more. It's the first mobile browser to truly support Do Not Track, and the "Awesome Page" start screen that shows you all of your recently visited tab. Also, it has Adobe Flash support and best HTML5 support. Boat Browser is a fully customizable Android web browser. You can easily change the buttons locations, install add-ons and set Volume Buttons and more. Besides, you can use the Bookmarks Manager tool to create new folders, drag /drop contents, delete / import / export and sync multiple files at the same time. The powerful voice control engine is very helpful and if you say “Twitter” and the browser will bring up Twitter for you. If you like the customizing browser, Boat is definitely your taste. So which one do you want to use? 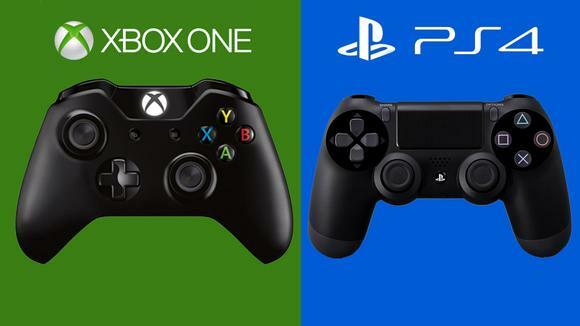 Xbox One vs PS 4: What’s the New Battle? Finally, the next-gen of Microsoft game console Xbox One rather than rumored Xbox 720 was announced with all-in-one living room entertainment. 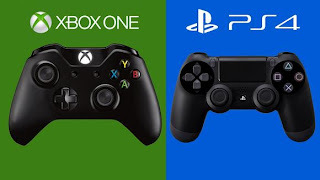 Since PS 4 has been launched in February, so Xbox One vs PS 4, which one will be better? Following list the comparison. Sporting an 8-core x86-64 AMD Jaguar processor, 8GB of GDDR5 RAM and an enhanced PC-style GPU, the Sony PS 4 means more of a PC’s performance than any of its predecessors. The new announced Xbox One also comes with an 8-core AMD processor, 8GB of RAM and 800MHz D3D11.x GPU, kind of similar in power to the PS 4. In the graphics department, however, Microsoft may surprise us. The Xbox One controller or PS4 DualShock controller? For most game player, this seems to be a useless question owing to the locked-in preference of gamers. But I still would like to talk something about it. PS4 DualShock controller mix and match components with the PS Vita’s controls while Xbox One gets 40 design innovations including the tweaked D-Pad on the bottom-left of the game pad. The PS 4 has a completely compatibility of the older model games, and it allows gamers to live stream older games to their machines and play remotely hosted older games on your new device with fees. But Xbox One doesn’t follow the PS 4 in this term and it hasn’t the Xbox 360 games support. It tends to let developers to release the new game discs and Microsoft promised to add 8 new games professionally for Xbox One. To get better experience of Xbox One or to leave old games discs is just a question for us. The Facebook-similar interface of PS 4 offers the serious "real names" friend-making gaming network to communicate. And players can share their video chips and chat with other games on the network. Even, one can invite an online friend to ‘watch’ or even ‘play’ your game in real time. It seems that the Xbox One cannot compete with PS 4 in the social sharing when it focuses in Home entertainment. But we can also expect is that Microsoft can really find something new or cool to in the social sharing domain. The PS4 DualShock 4 controller will come into play with the PS4 Eye benefitting from its multi-colored light bar. The PS 4 Eye will contain two 1280×800px cameras, according to Sony’s statement. Along with the announcement of Xbox One, the packed-in 1080p Kinect 2.0 was unveiled by Microsoft. It is said to be the advanced camera as "human control for a human experience,", which means to be able to process 2GB of data per second, analyzing more joints. It seems the Kinect can be more attractive, but Sony may put something mystery about the Eye when PS 4 is really released. Of course, PS 4 owns the high specs while Xbox One has expected features, so which one is better? You may have your own opinions, just leave your comment here. Blu-ray support when Xbox 360 doesn’t have. A system that knits games, TV, and entertainment. Because of the limited video formats and lack of certain features of built-in windows media player, you might want to find the third-party media player for windows. VLC player is one of the most widely used free player, but the "Rebuilding Font Cache" thing and unfriendly UI may annoy you. Here I just list top 5 best free media player software which can be the alternatives of VLC player and windows media player. Read on and pick up one to get the best video experience. Leawo Blu-ray Player is a totally life-long free windows media player for DVD, AVI, MKV, MP4, FLV, MOV, up to 1080p HD video playback and much more. For audio, it supports .aac,.flac, .m4a, .mka, .mp2, .mp3,.ogg,.wav, .wma and others. The player can adjust subtitles and audio tracks at will for your better movie enjoyment, as well as the full-screen playback support. Besides, you can control the playback with the full friendly menu.For playing Blu-ray, you need to pay $59.95 for it.But now it is only $19.95. Tips: How to Play Blu-ray on PC? KMPlayer is also one free media player for Windows. The easy-to-use interface lets you get easy access to screen control, subtitles, screen capture and many more. It features the built-in video and audio codecs and supports a wide variety of music and video formats. Also, you can customize the player like slow down or increase playback speed, select parts of a video as favorites, do A-B repeats, choose your favorite skins and color schemes, etc. DivX is another great alternative to VLC and Windows Media Player. Most popular video formats are supported by it. The attraction of it is you can watch streaming videos in DivX, AVI and MKV formats through the web player. Another great function is its file converter which allows you to create and backup content or convert them into DivX, AVI, MP4 or MKV to transfer to mobile device. RealPlayer is a very popular media player on the web all the time. It can play lots of poplar formats including WMV, WMA FLV, AVI, MP3, MP4, 3GP and more. Apart from that, the player can convert your video files into different formats and download streaming content online. Better, you can even share your clips with friends on Facebook. But for more features, you just need to pay $49.99 to get the RealPlayer Plus 16. With the popular built-in video and audio codecs, GOM Player is another greatly free multimedia player. You can play wide range of file formats such as AVI, DAT, MPEG, DivX, XviD without installing any additional codecs. Good thing about it is that it can play incomplete or damaged AVI files by skipping the damaged frames, as well as the locked or partially downloaded files. What’s more, you can alter the brightness, contrast and other video settings to the videos when you view them. The higher development of Android technology has made it possible to playing high quality 3D Android games, which without doubt gives the game addicts more excitement. If you want to look for the best free 3D games for Android, check out the below list. 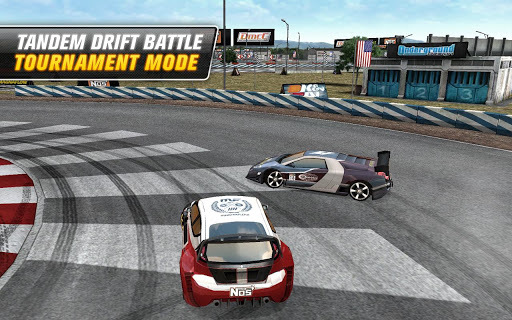 With the ultimate drift experience with its highly addictive gameplay and High End Graphics, Drift Mania Championship 2 LE is a very great Drift game at Google Play. It includes the 3D graphic effects to optimize your android device to get the maximum enjoyment. 3D Bowling is the best and most realistic 3D bowling game on the Android. It is also the only 3D bowling game at Google Play.It features the stunning 3D graphics and state-of-the-art 3D physics engine for real pin action. The game is simple to play, but kind of hard to go through. Hills of Glory 3D is WW2 reverse tower defense game with stunning 3D graphics. In the game, you are required to defend your bunker against hordes of enemies with the military arsenal at your disposal. The attraction of the game is its great multi-touch experience, funny cartoon animations and humoristic war movies references. Ranked as the first download in some stores, Castle Master 3D is a full 3D Action Strategy Siege game.300 vs 300, exciting? You can also customize your character’s stat points and develop your character to be Paladin-style knight with one-hand sword, speedy knight with two swords, fearsome knight carrying giant blade with great damage .Choose weapons and armors to be more thrilled. 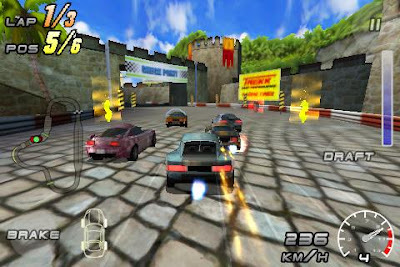 Raging Thunder 2 is a great 3D multiplayer racing game. You will go through abandoned temples, tropical beaches, snow-covered mountains, the Great Wall and a range of other breathtaking vistas. The game is fun and the graphics are very good. Have you got any other great 3D games?Just leave your comment to share with us. 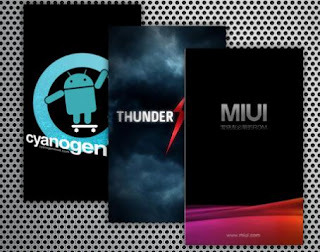 Have you tried installing multiple ROMs on Android Phone to experiment different experience? It is really amazing if your phone is rooted. But it will be annoyed to flash and re-flashing new ROMs just to try them out, so can we find a way to dual boot Android Phone between ROMs, such as dual boot Android and Ubuntu? Answer is yes，we can use some Android apps to do the job . Just let’s see the detailed operations. Boot Manager has been used in the past all the time for dual booting your phone, and it let you flash the new ROM to your SD card so that you can try out multiple ROMs in your phone. When finished, download the Google Apps zip file for the ROM you just installed and go back to BootManager to install Google Apps' zip file just as the step one. (Leave all three "wipe" boxes unchecked). Also, you can install other add-on zips with this method. You can switch between ROMs by going into BootManager and choose "Boot Installed ROM". BootManager cannot support every Android phone, at the moment it can only support Samsung Galaxy Nexus, some HTC devices and Moto devices. Safestrap is a CWM recovery program that allows you to toggle between your stock system and your custom ROM. You can create up to 4 virtual ROM-slots for flashing ROMs. For the details to use Safetrap, you can refer to detailed Safestrap instructions at droidforums since the process is kind of complex. Now if you have tried one of the method, you can freely experience different ROMs on your Android phone. How to Change Font on Android Phones or Tablets? How to Unlock the Android Device if You Forgot the Passcode? 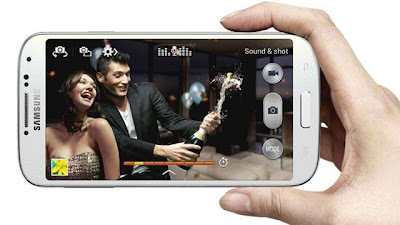 Samsung Galaxy S4 is inarguably the most attractive smartphone in this period with the new amazing fiction-like software and powerful hardware. On the other hand, plenty of people will not get the Galaxy S4 with the high budget. Good news is there are some Android apps helping you get the new Galaxy S4 features on your existing Android phone without buying the S4.Next let’s just have a look. Smart Stay technology is firstly introduced with Galaxy S3 but carried forward by Galaxy S4.It uses the front camera to check in intervals the position of your face and it will automatically adjust the screen backlight by detecting the location of your face. On Galaxy S4, Smart Stay features the Smart Pause which can pause videos when your look is away from the screen and continue video playback when you look back the screen, and Smart Scroll which enables scrolling by tilting the phone up or down. At the moment, there are some Android applications that can imitate this smart function such as Smart Stay, ISee You , SmartStay Ex. You will find the first existence about Air View on Samsung Galaxy Note.It allows you to move your S Pen over the screen to play videos or read emails, messages etc. And S4 improved the feature with more than S Pen, that means, you can also use your fingers to enjoy the Floating Touch feature. With the great feature, you can control your phone more conveniently. For this feature, you can find a few apps to act as it like Wave Control which provides the the basic functionalities though it is not as fluent as Air View , and GMD GestureControl which makes you control device with multitouch gestures. Maybe you haven’t noticed this great feature Sound and Shot, which will record the audio when you are clicking a picture. Amazing? Although there aren’t many apps which can actually record audio at the same time when you click a picture, there are apps allowing you to record audio just before or after the click like PhotoSpeak and StoryMark. The S Translator on S4 can help you translate foreign language and even the locals by directly listening to them when you travel to other country. For this feature, of course , we can find many, but the best one is without doubt the Google Translate App which provides you with translations in over 60 languages from text to speech support. You can see the Pop-up Play feature in all of the Galaxy S series of phones including the Galaxy S4. The feature allows you to change the video screen into a pop up box and work in the background, in doing this, you can do others things without the need to stop watching a video or movie, that is to say, multi task. The great Pop-up Play similar Android apps includes Mobo Player (Free) which supports multiple video formats and gesture controls, and Stick it! ($1.79) which comes with some predefined themes like Windows 7 or Mac OSX . With the above Android apps, you can get a very similar Galaxy S4 features to feel the fashion of Android. So, take your action and download to experience them. How to Get Sony Xperia Z Style Homescreen on Any Android Device? How to Make Unlimited and Free Calls with Google Voice over Wi-Fi or 3G/4G on Android Phone? OK, got or decided to get a New Samsung Galaxy Note 8 Tablet? Then you can enjoy its special S Pen writing experience, expanded storage and Watch On feature and more, compared to iPad Mini and Nexus 7 .For E-book Reading lovers, what can be more fascinating than the unique Reading Mode of the Note 8, which can simply alter page backgrounds and adjust the brightness in e-book apps to look more like paper to prevent mild eyestrain. Reading Mode isn't turned on for, however, all of your apps only by tapping on the icon in the notification panel. 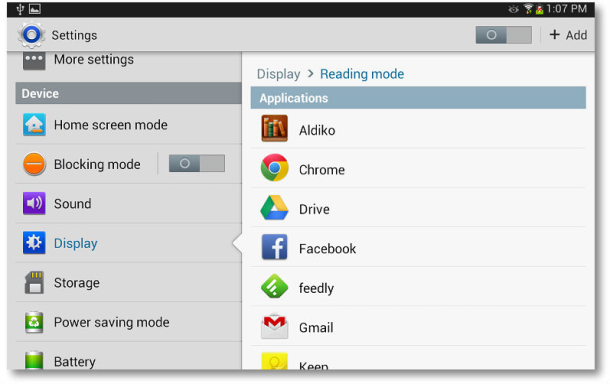 So you just need to do some setting about the Reading mode to apply more apps with simple steps. Press the Menu button on one of your Galaxy Note 8‘s Home screens, choose Setting option or just pull down the notification shade and tap on the Settings cog. Tap Display，and then tap on the slider next to Reading Mode, and you will see a list of apps load which is enabled in Reading Mode. Press the Add button in the top right-hand corner to add the apps you want to access to Reading Mode. After finished, tap the Done button to save the setting. Then you have done the job, and now you can get happier eyes when reading with the apps you selected. Tips:You can also change the Font of the Android tablet to get easier reading. Freely Record audio and music from computer audio and online music sources like YouTube, AOL Music, Last.fm, etc.